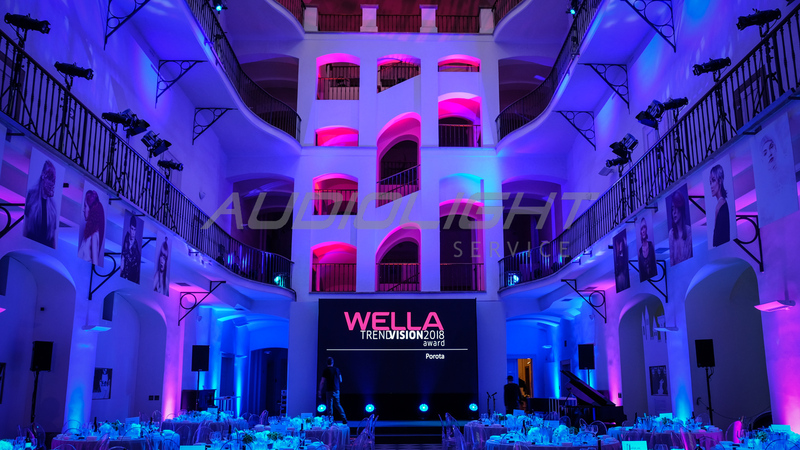 Wella trend vision | Audiolight service s.r.o. The 14th annual unique hairdressing competition with an international final ending and a major hairdressing event NATIONAL TREND VISION AWARD traditionally celebrated the season of hairstyle trends by announcing the winners of the national round. 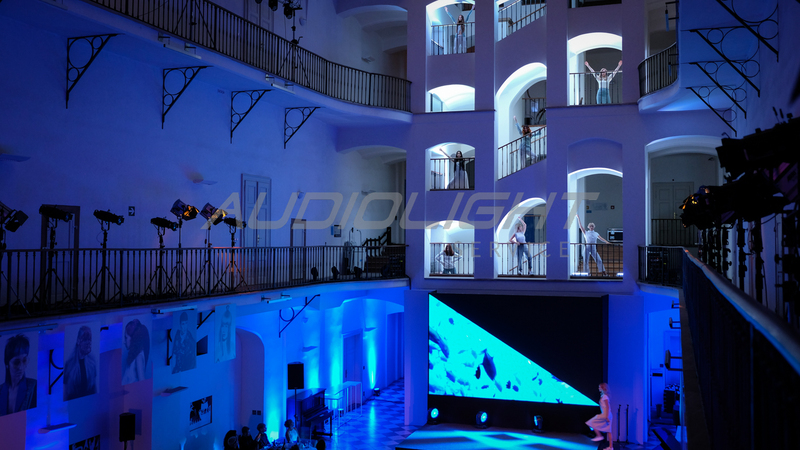 A jury composed of the most prominent personalities of the fashion, hairdressing and media world is the guarantee that the winners are in the Czech Republic and Slovakia part of the hairdressing starry sky. 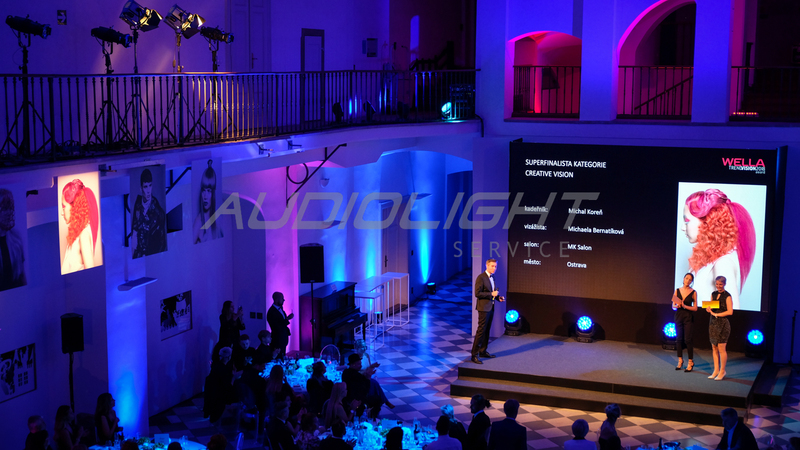 The winners of each category will join to the International Trend Vision Award 2018, which will be held on 3-4 November 2018 in Lisbon, Portugal. 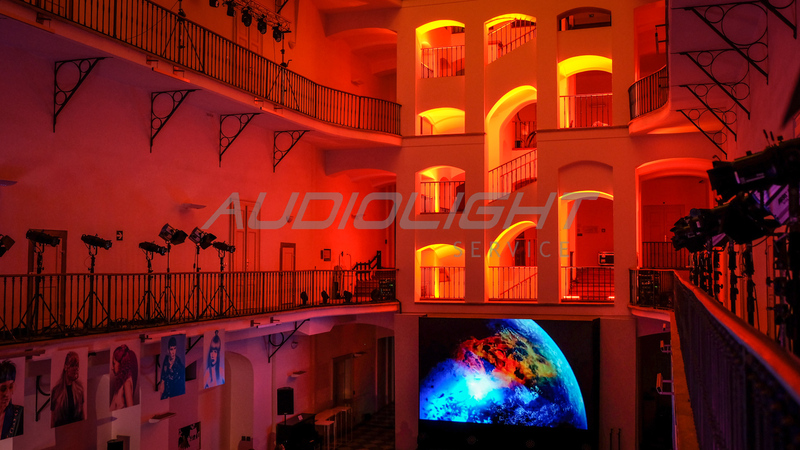 Our main work was to visually emphasize the beautiful spaces of the music museum - color lighting, creative gobo projection, and a combination of colors according to video content on the LED wall. 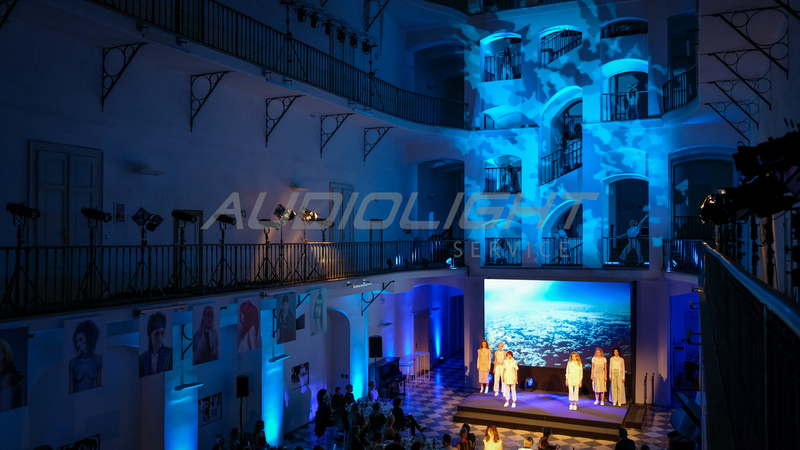 Then lighting of moderators, and contestants always combined with the illumination of their competition photography; and illumination of models on the staircase, stage and audience.